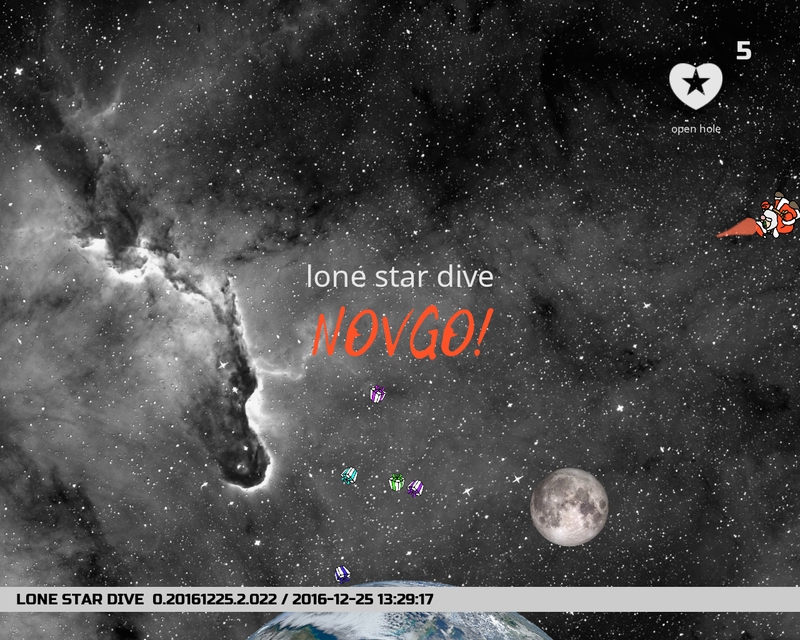 AppGameKit Showcase / Lone Star Dive: NOVGO! 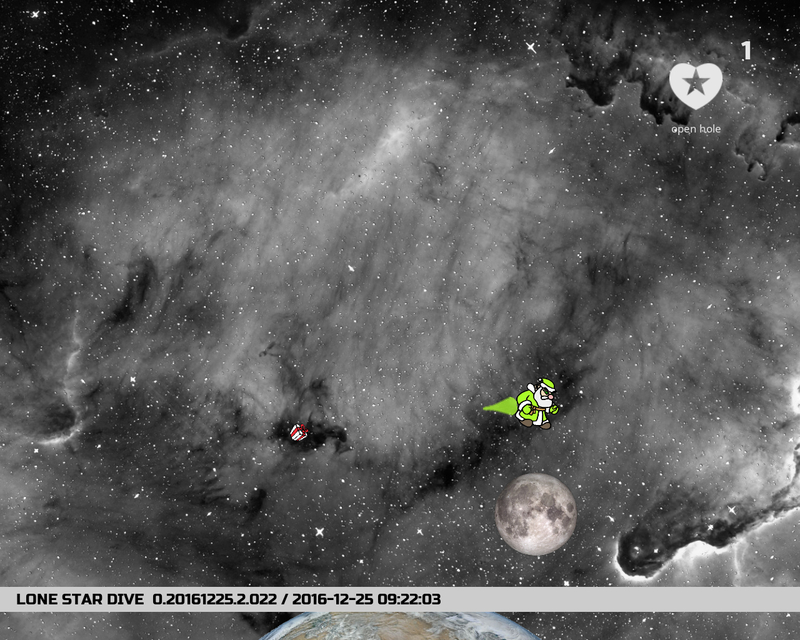 'tis a season of x-mass games so I've patched my some unreleased project from December of 2015 with a character of my another abandoned project, tuned it a bit and voilà. 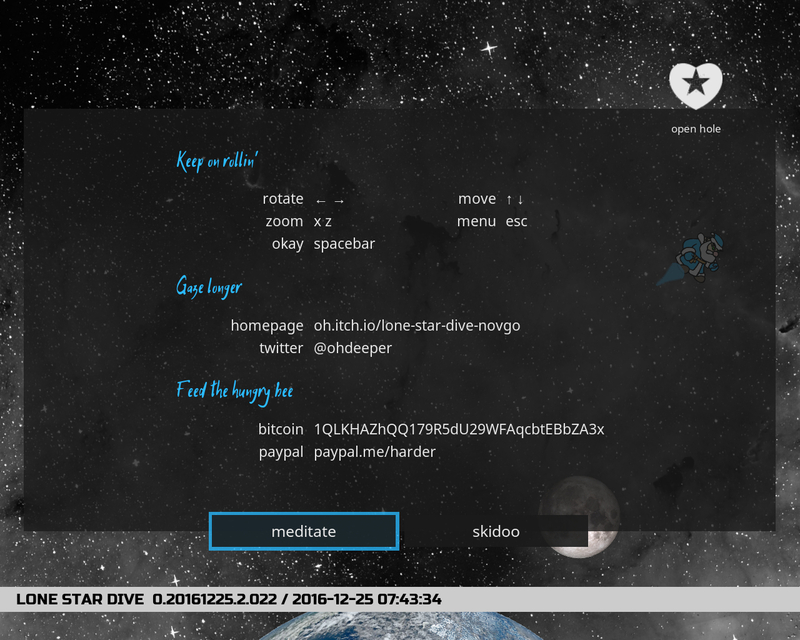 sorta ultimate space meditation tool (very simple in fact). 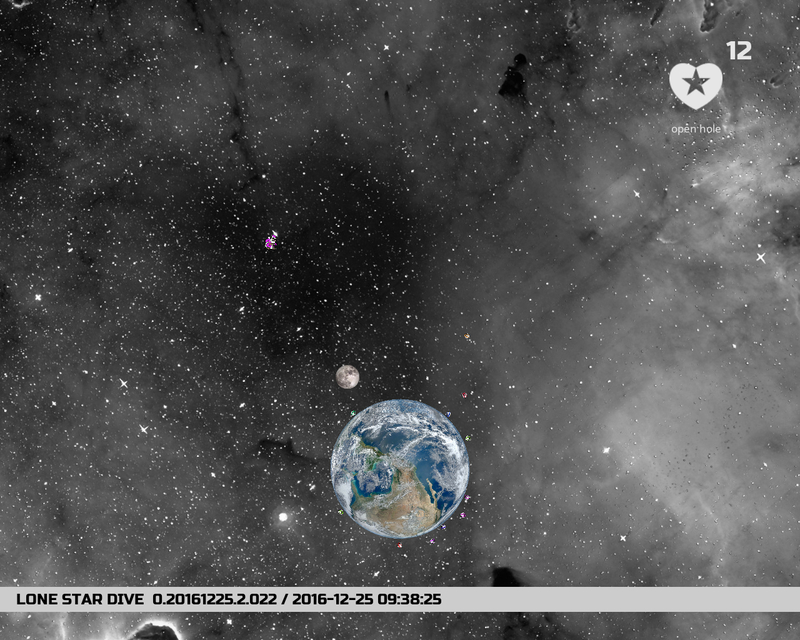 it's hosted on itch.io and free for downloading.